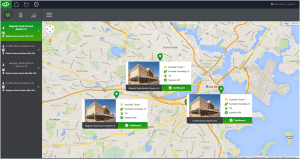 The cloud is an ideal platform for multi-site facilities management. Why? In a nutshell: it is easy to deploy because the technology is outsourced, able to collect and process data from anywhere at any time, can be delivered to any user platform, and is easily scalable. 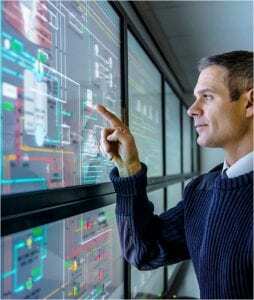 A vast amount of data from HVAC, lighting, and energy use can be gathered at predetermined intervals, shot up to the Cloud, analyzed, and shared with decision makers via reporting applications. And the best part? You’re not limited by the amount of remote locations that can be linked via the Cloud; you can manage and grow as you need. Before we dive into deeper detail on how to put the Cloud to work for you, let’s lay some groundwork with the first two blog posts in this series. 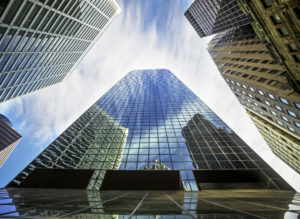 The first discusses frequently experienced challenges of managing multiple buildings, the second how Cloud-based technology offers up a solution. The Cloud puts that old adage of, “you can’t fix what you can’t see” to shame. Once you have a Cloud-based building management system (BMS) in place, the possibilities become endless. Think about it: for the first time ever, you have visibility into your entire organization from a central location. You may have never thought this was possible before. No more depending on phone calls to local facility managers to figure out how things are working (or not). No more making site trips to get to the bottom of those comfort complaints. You know what’s irking them, and how to fix it. Now open your eyes and listen: It’s real. Not to mention the fact that a Cloud-based system delivers some very real benefits. Continuous Improvement –Take a peek into individual or overall building operations to evaluate energy costs and compare performance across sites. Proactive Maintenance – Cut problems off at the pass. Things like declining performance in a chiller could indicate equipment failure. You now have the power to dispatch maintenance before a crisis occurs. Occupant Comfort – Keep everyone, everywhere happy at all times. Continuously monitoring local conditions ensures comfort can be maintained. Real-Time Alerts – Stuff happens. Unexpected events and out-of-spec conditions can trigger automatic alerts that give you the time needed to take swift action and solve problems. Crowd Sourcing – The more the merrier. The Cloud makes it easier to share information and enable “bottom-up” solutions. Avoid the need to reinvent the wheel by storing reusable assets, like local system control programs, in a central library that can be accessed from anywhere. Improved Services – Arm the right people with the right information. Overall building services are improved when decision makers, from local maintenance to corporate planners, are kept in the loop. Let’s focus for a moment on these decision makers. Who would want access to all this stuff anyway, and why? Well, depending on your role within the organization, you may need different things from your Cloud-based solution. For example, an Operations Director might want to see which sites are generating the most alarms and complaints. On the other hand, the Energy Manager might want to compare energy usage across all sites to see which ones are the biggest energy hogs. While all the visibility in the world is nice, you and I both know that it all comes down to action. Cloud-based solutions take it one step further. Centralized applications offer control capability which allows you to remotely adjust local environment settings. While this requires a common BMS platform be installed at all or most of the sites, the investment is well worth it. If it’s a hard sell all at once, take an as-needed approach and triage the most critical or poorly performing sites first. Adding control capability allows your enterprise to manage its entire facilities landscape as if it were a single structure. The reality is you can monitor all sites, making adjustments to HVAC and lighting whenever the need arises, from any location, on any device. Toss in global scheduling and you can enable centralized management of multiple schedules for any number of buildings across your enterprise. The cherry on this sundae comes when you add in the ability to perform analytics on all the big data you’ve been capturing across the enterprise and storing in the Cloud for a rainy day. The next blog post in this series lays out how analytics enable you to make the most of your data. In the meantime, start the series from the top to better understand the types of challenges frequently experienced when managing multiple facilities. Or, check out our white paper for the big picture: Leveraging Cloud-Based Building Management Systems for Multi-Site Facilities.